This article was published by ComputorEdge , issue #2813, 2010-03-26 , as a feature article, in both their PDF edition (on pages 14-19) and their website. There are countless scenarios in which the ability to save the image displayed on your computer screen — or a portion of it — would be quite valuable, or even essential to the task at hand. For instance, imagine that you are running a software application, when suddenly it malfunctions in some manner, and displays an error message containing a large quantity of technical details (such as error numbers and memory addresses). The software support people ask you to send them all the information. It would be so much easier and more accurate to save everything displayed on the screen, in an image file, rather than writing it down by hand. Or you might be writing a technical tutorial of some sort, and you want to let the readers see exactly what they should be seeing on their own computers, as they follow your instructions. Such saved images are known as "screenshots", and the programs that create them are often referred to as "screen capture" applications. Taking screenshots is such a handy capability that the two leading desktop operating systems — Windows and Mac OS X — have built-in screen capture applications, and have done so for years. Anyone using Microsoft Windows can simply tap the "Print Screen" key on their keyboard, and an image of the desktop is immediately copied into the system clipboard, from whence it can be pasted into an image processing program. To take a screenshot of the current window only, hold down the Alt key while hitting Print Screen. Anyone using Apple's Mac OS X can press Command-Shift-3 to save an image of the desktop in a PNG file, saved to the desktop. Add the Control key to that combination, and the screenshot is placed in the clipboard and not on the desktop. Command-Shift-4 is the key combination to select a portion of the screen. Tapping the space bar after Command-Shift-4 allows one to limit the image to a particular window. So if such capabilities are close at hand for most computer users, why is there any interest among users for third-party screen capture applications? As with most if not all applications built into operating systems ("applets"), these embedded programs cannot compete on the basis of capabilities or timeliness, for a number of reasons. Firstly, operating system vendors such as Microsoft and Apple must focus on their core products, and consequently cannot devote much resources to their applets, in order to make them outperform stand-alone applications created by other software companies and individual developers who can focus on that one area. Secondly, these third-party companies tend to be more nimble, and certainly far more numerous, versus the industry behemoths, enabling them to introduce new features much faster. Thirdly, many computer users, for whatever reason, do not update their operating systems as time passes — or they only install security updates — and so they would not obtain newer versions of applets even if the operating system vendor had time to create them. In the realm of screen capturing, there are countless third-party utilities, with varying levels of functionality and price. For those Internet users who have discovered the advantages of the Firefox Web browser, there are at least two available Firefox extensions for taking screenshots. But in this article I will focus on a desktop alternative, specifically for PCs running Windows. 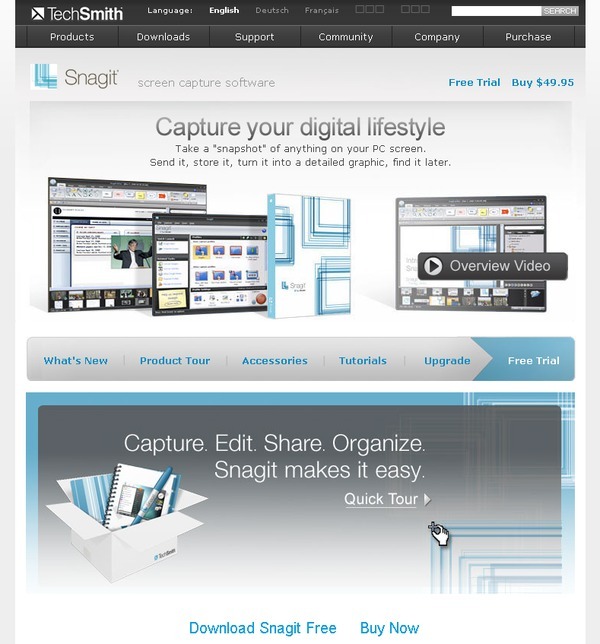 One of the more popular and respected screen capture applications is Snagit, created and distributed by TechSmith Corporation of Okemos, Michigan (with a second office in Tokyo). One way to learn more about Snagit is to visit the product page. From the product page, you can explore the sections that describe: the new features implemented in the latest version (9.1, as of this writing), the overall capabilities of the program, supplementary utilities (referred to as "accessories"), dozens of tutorials in seven different categories, procedures for upgrading from an earlier version, and links for downloading the program and learning its system requirements. Speaking of which, Snagit runs on all the modern editions of Windows: 2000, XP, XP x64, Vista (32-bit or 64-bit), and Windows 7 (32-bit or 64-bit). It does not require an unreasonable amount of hard disk space (60 megabytes) or system memory (512 megabytes). Some of the accessories are designed to work with other applications, such as Microsoft Office, Internet Explorer, Adobe FrameMaker, and Firefox. The program is available in English, French, German, Japanese, and Korean. The best way to find out what Snagit can do for you, without committing to purchasing it, is to download and install a copy, at no charge, with their 30-day trial. To do so, click on the download button on any of the Snagit-related pages, and save the installation file (snagit.exe) somewhere on your PC where you can find it easily. On the download page, you have an opportunity to provide your email address, in order to receive a series of tips on how to use the program. (Your email address is not shared with other companies.) If you have any difficulties downloading the file, first consult the download FAQ page. To start the installation, open the file that you downloaded, and follow the on-screen instructions, working your way through the eight dialog boxes, until reaching the last one that indicates that Snagit was successfully installed. Screenshots of the installation wizard's dialog boxes are not included here, because the process is quite straightforward, and the default values should work for most readers. As soon as the installation is completed, and you close that last dialog box, Snagit will automatically open up (assuming that you did not change that option's default value earlier). Each time that the program is started, it will display one of several tips. They will ask whether you have used the product before, display links that allow you to register the product or sign up for the newsletter, and other possibilities. You may find these tips more annoying than useful, in which case you can click on the checkbox to disable them, or do so within Tools > Program Preferences > Notifications. The main interface for Snagit looks quite different from that of earlier versions, but is just as easy to navigate. The profile section of that interface allows you to quickly specify which type of capturing you would like to do: a rectangular region, the window of an application, the entire screen, a scrolling window (this is especially handy for grabbing Web pages), a drop-down menu (with optional delay), text from a window, video of screen action, images on a Web page, the contents of a Web page including links, and a single object. Once you have selected the profile you want, then click the large red button. The controls that you see next depend upon the chosen profile. 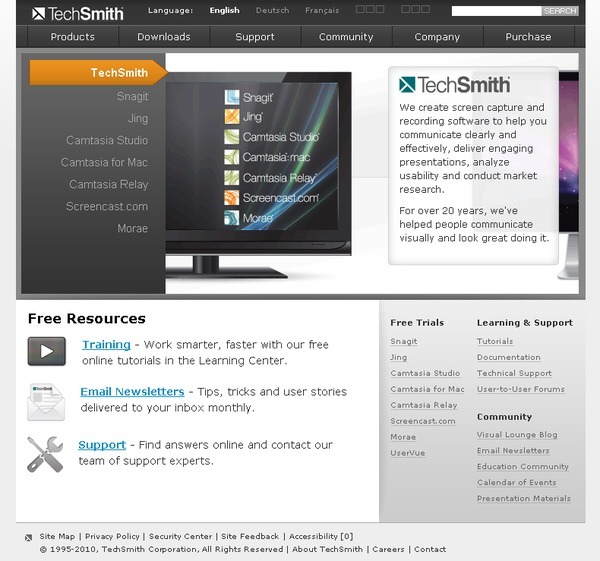 For example, if you wanted to capture a portion of your Web browser, including the top part of the TechSmith home page, then you could choose the default profile (Region) and click the Capture button, causing Snagit to display a hand icon for clicking and selecting the desired region, as well as a pale yellow preview panel — automatically located far away from the hand icon, so as not to interfere with the selection process. The captured image is automatically displayed in the Snagit Editor. Its navigation bar on top is difficult to read, at least for the first-time user — partly because of the rather small menu text, but more so because it is such an unusual layout, and takes some getting used to. Ironically, a screenshot of the Editor cannot be shown here, because any attempt to use the Windows Print Screen facility is interpreted by Snagit as an attempt to take a screenshot of anything except the Editor. Nonetheless, the test was successful, and the captured browser region was easily saved as a PNG file (the default format). The Snagit Editor is loaded with features, allowing you to: draw a variety of shapes, edit an image, add effects, define clickable hotspots on the image (very handy for Web designers), add small colorful symbols ("tags"), manage multiple captured images, and output the image in an email message, to the system clipboard, to a Word, Excel, or PowerPoint document, and much more. 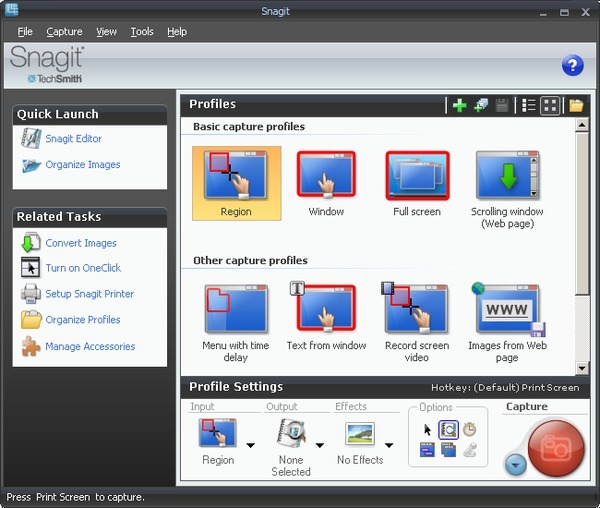 If you have a decent firewall running that detects local applications trying to connect to the Internet, then when you capture an image to the Editor, your firewall should inform you that Snagit is attempting to connect to www.jingproject.com. Do not be alarmed, because Jing is a legitimate site owned by TechSmith. Jing is billed as "free software that adds visuals to your online conversations". Its website has more information, if you are interested in pursuing that product further. Snagit crashed once during my testing, immediately after I instructed my firewall to disallow a connection attempt to www.jingproject.com — but it is not clear that the two events are related, because it did not happen again. 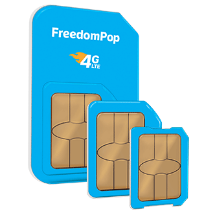 The company provides a lot of support for the product. In addition to the aforesaid tutorials, there is additional information in the Snagit Learning Center, and you can always contact their technical support. So if you ever have a need for capturing a portion of your screen, or any of the other capabilities outlined above, consider Snagit as your tool of choice.